When guests hear the words “Walt Disney World,” immediately visions of characters, theme parks and dining emerge. I am here to tell you that soon bowling is sure to become synonymous with Disney. You heard me – bowling!! 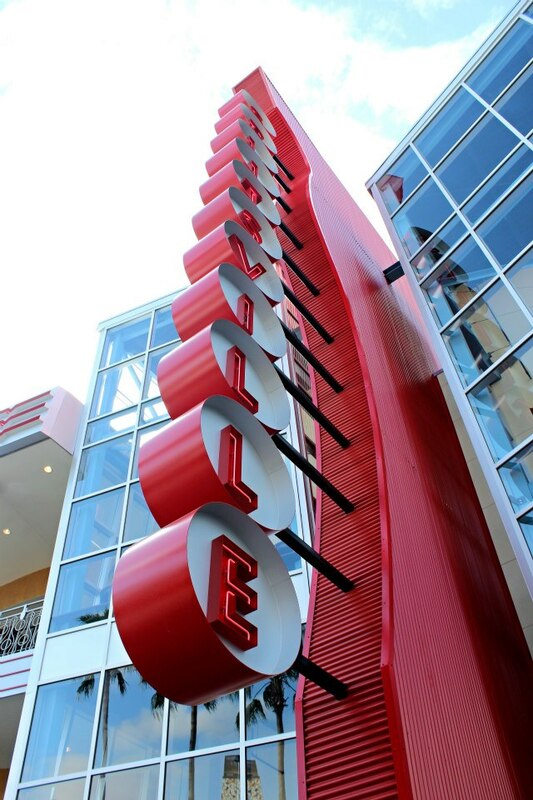 A wonderful new entertainment venue debuted in December 2012 – Splitsville! Splitsville is a modern day take on bowling and billiards spanning two levels in Downtown Disney West Side. With 30 bowling lanes available and billiard tables scattered throughout, there is no shortage of opportunities for fun. There are even opportunities to enjoy live music and dancing, as well as adult beverages. 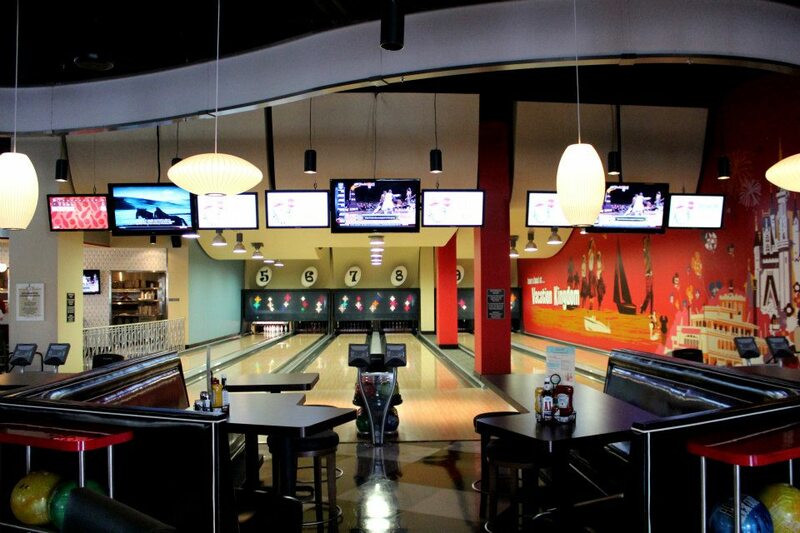 Splitsville is more than just a bowling alley – it is an experience. This is not your neighborhood bowling establishment – it is “luxury lanes.” There are interesting murals and other design elements throughout. Instead of just one long line of bowling lanes, the lanes are divided into sections within the facility thereby creating a more intimate setting for you, your family and friends. With comfy seating and large tables, it’s perfect for enjoying some of the fabulous food. 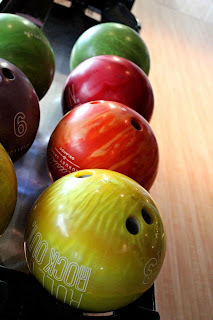 Tables are also available both inside and outside on a patio to enjoy the cuisine without exerting yourself bowling. I know some of you are laughing right now and questioning my sanity. I get it and readily admit that typically bowling and fabulous food are not uttered in the same breath; however, Splitsville has managed to achieve combining the two in stellar fashion. We’re not talking just “getting your grub on,” we’re talking edamame, salads, seared Ahi tuna, pulled pork, mahi mahi with voodoo shrimp, as well as sushi and more traditional fare of pizza and burgers. You will want to top off your noshing with a signature sundae, brownie a la mode or giant cake – “a mountain of red velvet cake and frosting with layers so high you might need a ladder!” I am still feeling the skepticism and understand that just because an establishment offers more upscale fare does not mean the end result will tempt the taste buds. I must admit that I had reservations about the quality of food, but I assure you that Splitsville delivers – one of my favorites, the sushi, is absolutely fantastic. Currently Splitsville is open 10:00 a.m. to 1:00 a.m. Sunday through Wednesday, and 10:00 a.m. to 2:00 a.m. Thursday through Saturday. Walk-in rates are available, as well as Priority Bowling (allows your group to receive the next available lane(s) upon check-in for a maximum of 2 lanes with a maximum of 8 bowlers per lane). We visted the place on our last trip when we arrived. It looked so cool we returned that week to have lunch and bowl. We acually skipped a half day at the park and had a blast. The pizza was great and a good price. We had some to take back to the resort. It beat trying to avoid the cheerleader at the parks. My suggestion is to eat after you bowl since bowling cost is by the hour.